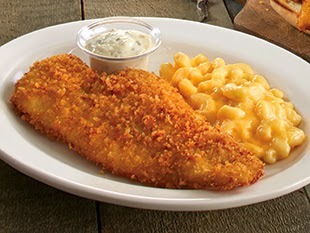 Our Mom loves your fish and macaroni, but she can only eat 1/2. Since she lives in assisted living (and we eat vegan), 1/2 of her meal goes to waste. 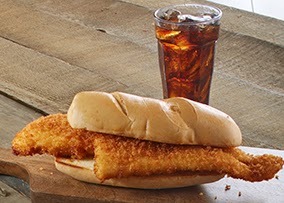 We wish you could serve 1/2 of a fish sandwich. Thank you. We LOVE your salad bar & wish you had restaurants further south. Hello! Thank you for your comments! We'll be sure to pass them along to our menu development team! Also, thank you for the kind words about our Soup, Salad, and Fruit Bar - we're glad you love it! As for our chips, they're crisp, golden, and made fresh with every order! Our favorite meal for years was the Friday special of Cod with mac and cheese and slaw then you changed it to white fish and it was not the same. We really miss the original and I know that a lot of others do too. Also I think you used to make your own mac and cheese because what you serve now is not as good. 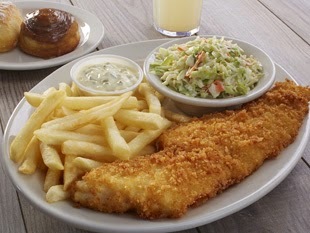 I am going to try the whale of a cod with the mac and cheese tomorrow when we go for our Friday clam chowder. Hi there! We hope you enjoyed our Whale & Mac lunch during your visit! 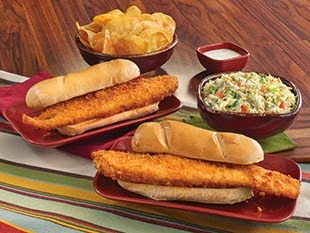 We'll be sure to pass along your Whale of a Cod and Mac & Cheese comments on to our team!